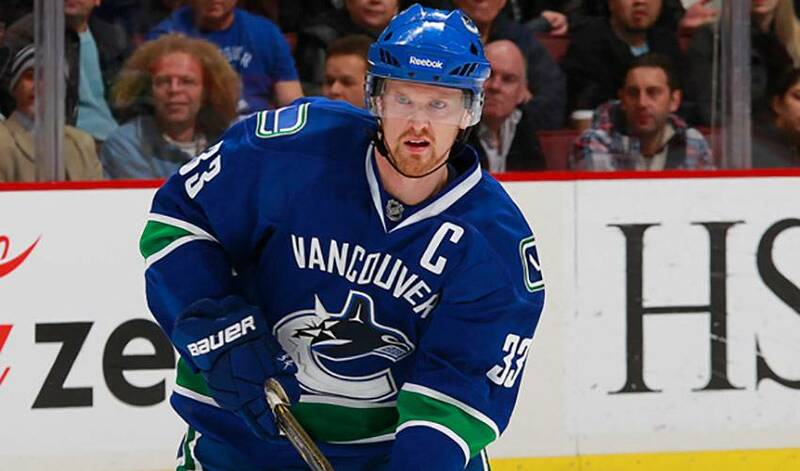 They are the Presidents' Trophy winners of 2010-11 as the team that finished with the most points in the league during the regular season, but Henrik Sedin and the Vancouver Canucks have their sights on an even bigger prize. For 82 games, no one in the NHL, in terms of the standings, was better than the Canucks. Featuring some of the top players in the game at every position, the Northwest Division club has been one of the league's most consistent and impressive teams. But in spite of all their successes, Henrik, Vancouver's captain, has greater expectations as the team looks to deliver the city its first ever Stanley Cup championship. “Playing in this market, it's no different this year than it has been in the past,” said the native of Ornskoldsvik, Sweden, who won the Hart Memorial and Art Ross Trophies as the NHL's most valuable player and leading point-scorer, respectively, in 2009-10. Media-wise, if we won four Stanley Cups in a row, the pressure is still going to be there like it is now. So that's not a difference. Henrik is still very much the same player he's been for years, an elite offensive catalyst, who is arguably the most gifted passer in the game today. Named the Canucks' 13th captain in team history during a pre-game ceremony celebrating the start of the team's 40th season on October 9, 2010, Henrik has been a steady contributor on a Vancouver squad eager to capitalize on their regular season triumphs of late. He admits he's come a long way since his first playoff experience in 2000-01. It hasn't been fun, at least playoff-wise, for the Canucks in recent years. In the past five campaigns, they haven't qualified for the final eight twice and on three occasions, they've been ousted in the Western Conference semifinals, including consecutive losses to the Chicago Blackhawks the past two seasons. Once again, the Canucks and ‘Hawks will square off, this time in the first round of the Western bracket, with Vancouver as the first seed and Chicago holding the eight spot. Henrik knows just how much it would mean to the players, the organization, the fans and the city to win it all. After some late-season bumps in the road, the Canucks rebounded with a convincing 5-0 home win over the Minnesota Wild. He also sees the tough stretch as a valuable lesson. A team that boasts one of the game's true superstars and a player who is eager to bring the Cup to British Columbia.